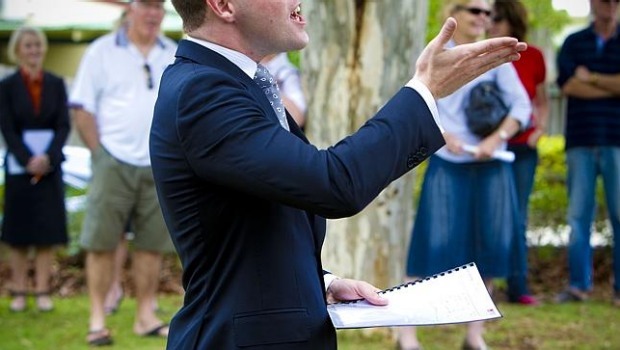 Dowling Real Estate – Ways to have a stress free auction! Ways to have a stress free auction! A successful house auction doesn’t necessarily mean that the hammer drops on a bid worth twice as much as the reserve. Although that would obviously be an excellent outcome, it’s important to remember that a successful auction can mean more than simply selling your property for a good price. House auctions are about more than just the money so here are 9 ways to have a stress free house auction. Before you put your house up for auction it’s important that you’re at least a little bit familiar with the industry. Go to other house auctions, ask questions of the agents and most importantly have a few conversations with the bidders. House auctions are something most people will rarely participate in, so it’s difficult to acquire organic experience in this area. This is why it’s so important to get out in the field and learn as much as you can before your own auction. The industry changes every few years so even if you went through an auction ten years ago, it’s still worthwhile to attend upcoming auctions to see what’s happening in the space. Attend upcoming auctions before your own to get a feel of the space. If you have any friends or acquaintances that have sold property recently, ask them about their experience with their agents. Finding a good agent is like finding a good employee. Not everyone is going to work well with everyone so take the time to find an agent that works for you. At Dowling Lake Macquarie we will deliver a specialised service to the community focused on dual goals of integrity and results. Real estate companies and agents all appear the same. They offer the same services, with every real estate agent claiming to be the best, it can be hard to judge whom to choose. Scratch the surface and you’ll discover dramatic differences in the way we operate and the results we achieve. Make sure that you’ve made the best choice when it comes to selling your home. The fact of the matter is that you will never know how an auction is going to go and you need to be totally comfortable with that. It’s important to be realistic about your reserve price but it’s also important to feel comfortable with the price you’re putting on your property. A good agent should be able to talk you through this process. It’s in the best interest of the agent to sell your house for the best possible price so you need to trust their experience, but also be honest about where you draw the line with offers. Think about retail merchandise and the way damaged stock is sold. It’s usually discounted right? The same goes with houses. If there’s a hole in a wall, fix it. If the paint is chipped, fix it. If the garden is full of weeds, fix it. A potential buyer is going to be looking at every single corner of the property and it’s their job to find the flaws. Make their job really difficult by thoroughly fixing anything that is wrong with the house. Never assume that a buyer won’t notice a problem. If someone is spending a large amount of money on a property, they’ll notice a problem. A potential buyer is going to be looking at every single corner of the property and it’s their job to find the flaws. Make sure you have everything you need on the day. The agent/auctioneer should provide any materials they need but make sure you have any paperwork or keys that you might need on the day. If someone wants to see inside the garden shed and the key is three suburbs away, that’s not going to look very good. Keep calm. The auction is going to happen and there are limited outcomes. The house will sell or the house won’t sell. Those are the two basic options. If the house sells, great. If it doesn’t there are always other opportunities. If you’ve done everything within your power to sell your house at auction, then there’s nothing you can do on the day to change the outcome of the auction. Just relax. What will be, will be. There are always other opportunities if the house doesn’t sell on the day. If the property doesn’t sell during auction, the agent may engage in negotiations with the highest bidder. You need to decide what your offer limit is and whether or not you will accept it before the auction even starts. Making a big financial decision under pressure isn’t a good idea. Have your limits mapped out prior to the auction to avoid making mistakes at a crucial moment. The property market is very much in favour of the seller at the moment and there are constant market reports of homes being sold for double their asking price, which can give home sellers unrealistic expectations. Just remember that each property is different. Location, time of auction and even the weather on the day of an auction can have an effect on the sale of a property. Be realistic and don’t expect a bidding war that ends with an unprecedented financial win in your favour.